Lebanese and IDF troops shot at “Nakba” protesters who crossed the Israeli border while army tank shells halted a Gaza march. Four dead in Lebanon. Lebanese and IDF soldiers shot over heads of Lebanese “Nakba” protesters who crossed the Israeli border Sunday while army tank shells halted a Gaza march that broke through Hamas checkpoints. Four people were killed in Lebanon. Both Hamas and Lebanese security forces apparently were trying to prevent an explosive situation as tens of thousands of Arabs protested on “Nakba Day,” the Arabic description of the “catastrophe” of the re-establishment of Israel as a Jewish state in 1948. The protests are a demand for the entire Jewish state to cease to exist. The Nakba Day rioters are focused on the demand by the Arab world for the massive immigration of five million foreign Arabs into Israel, based on the claim that their elderly or dead relatives lived in the country before fleeing in the1948 War for Independence. The Arab Legion encouraged them to leave “temporarily” while Arab troops expected to annihilate the fledgling Jewish state. In the north, tens of thousands of Arabs were bused to the Lebanese border, and several hundred or more managed to cross the border briefly until being driven back by the presence of IDF forces. 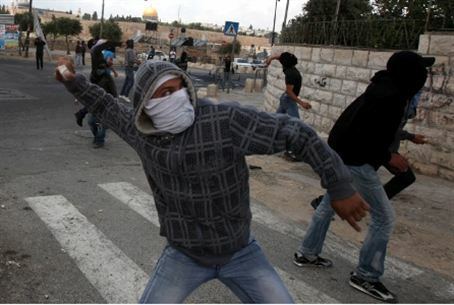 In Jerusalem, police helicopters helped disperse Arab rioters who attacked Jews with rocks. One firebomb was thrown towards Hadassah Medical Center at Mount Scopus, where one person was slightly wounded. The IDF cancelled leaves of absence for thousands of soldiers, who were deployed throughout Judea and Samaria. In Egypt, security forces prevented buses from carrying protesters to the Israeli border. On Friday, Egyptian soldiers fired gunshots to disperse thousands of protesters at the Israeli embassy.